There’s a lot to like about CrossFit. It packs a big-time workout into a short timespan, and it uses interval training along with weights. That means CrossFitters get fit while building muscle. It’s super popular these days – thousands upon thousands of diehards have adopted the CrossFit “lifestyle,” working out at one of 12,000 locations across the country. And it shows – CrossFitters’ physiques are decidedly superhero-esque. But is it safe? Or are there inherent risks associated with CrossFit? It depends on who you ask. Studies on both the workout itself and the Paleo diet show certain inherent dangers. For example, a 2013 study in the Journal of Strength and Conditioning looked at the frequency of injuries among CrossFit athletes. Of people surveyed, nearly 75 percent said they had gotten hurt during CrossFit training. Most of the 186 reported injuries involved the shoulders and spine, nine of which required the services of a shoulder or back surgeon. Another study in the Orthopaedic Journal of Sports Medicine showed shoulder and low-back injuries were most frequent among CrossFitters. Knee injuries ranked third. Plus, many nutrition experts say the Paleo diet lacks sufficient nutrients for modern humans. In fact, U.S. News & World Report ranked Paleo diet number 34 of 35 diets. A lack of sufficient nutrition and other problems led to its rank as one of the worst. 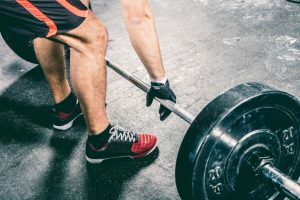 Additionally, there’s plenty of anecdotal evidence that CrossFitters experience more causes of rhabdomyolysis, a condition where muscle fibers begin to break down and be absorbed the body. The result can be kidney damage or even failure. Healthcare professionals advise moderation in all things, include fitness and exercise. But there’s nothing “moderate” about CrossFit. And, given the evidence, CrossFit may not be the best workout option for you, especially if you’re a beginner athlete. To learn more about working out smart, contact our physical medicine and rehabilitation professionals. We can help you craft a workout plan that meets your goals and keeps you safe.